You are here: Home / Notes 101 / How Congress Wants to Change Seller Financing! How Congress Wants to Change Seller Financing! Rarely does legislation have the potential to impact the world of seller financing as severely as HR 1728: Mortgage Reform and Anti-Predatory Lending Act. This informative article by Ric Thom helps explain the ramifications of this proposed bill and what action we can take now to protect owner financing and our private property rights. Congress is trying to greatly restrict seller financing. This is a taking of our private property rights. The US House recently passed HR 1728 which limits you as an individual to sell real property using seller financing to only once every 36 months (HR 1728 Sec 101 Definition (3)(E)). This bill was written to amend the Truth-In-Lending Act to regulate residential mortgage loan originators. This stems from the Secure and Fair Enforcement for Mortgage Licensing Act of 2008, or S.A.F.E, which established a national registry and standards for mortgage brokers. This is all directed at mortgage brokers, mortgage companies and banks. These are third parties that provide loan proceeds to the buyer to purchase property. That’s a good thing, but for some reason Congress has included private property owners who wish to sell their property using seller financing. Seller financing is where the buyer and seller negotiate a price, a payment plan, and interest rate. It’s an installment sale where the buyer pays the seller monthly and the buyer gets the use of the property. This is a frequently used method of buying and selling real estate especially in this economy of tight money. Banks are just not lending on, or are requiring huge amounts of cash down on, certain types of properties. Seller financing is used tens of thousands of times every year, if not hundreds of thousands of times, to sell real estate. In New Mexico alone, with a population of fewer than 2,000,000, it is used over 5,000 times a year. These acts are over-reaching and will have unintended consequences. The definition of a residential mortgage loan according to the Housing and Economic Recovery Act of 2008 means any loan primarily for personal, family or household use that is secured by a mortgage, deed of trust or other equivalent consensual security interest on a dwelling or on residential real estate upon which is constructed or is intended to be constructed a dwelling (Sec 1503 Definition (8)). Scenario #1 – Let’s say you are about to lose your home and you need another $1000 a month to make ends meet. You decide to sell your five acres in the mountains and your 1982 single-wide mobile home on one acre by the lake to make your mortgage payment. Banks are not lending on these types of properties and you need a quick sale, so you use seller financing. The problem is you need to sell both to get an extra $1000 per month, but the government has prohibited you from doing so because of the one every 36 month rule. Scenario #2 – Suppose you have a self-directed IRA. Every year you buy property with cash out of the IRA. You then sell it using seller financing so you can get a 6% interest rate. You will be prohibited from doing so under the Act. Scenario #3 – Let’s say you have four rental houses that you own free and clear. Part of your retirement plan was to sell them using seller financing with a 6 to 7% interest rate and a 30 year amortization providing a nice, monthly income. You don’t want cash because CDs only pay 2% and you already lost money in the stock market. But, under this act you are prohibited from selling them now. You can only sell one every 36 months. These scenarios go on and on. They are as unique as the individuals and the properties. Real estate is not just a house in a California suburb. It is also vacant land, non-conforming housing, land and mobile home, duplexes, triplexes, farms and ranches, and recreational properties. These types of properties would fall under the Act. Not everyone invests in the stock market. A lot of people invest in the above types of real estate. Not everyone wants to cash out when they sell their property; some people like seller financing for the income stream. Most states have escrow companies that hold the deeds or releases for buyers and sellers. They also keep track of the principal and interest and report interest to the IRS. This bill takes away our right to use seller financing as we see fit. House Bill HR 1728 should exempt anyone who offers or negotiates terms of a real property sale financed in whole or in part by the seller and secured by the seller’s real property. Why should individuals who had nothing to do with this crises be punished for the sins of the greedy Wall-Streeters? These acts are for mortgage machines, not Ma and Pa. I know the government is concerned about predatory practices, but is seems the local district attorney would be a more effective hammer than to regulate, restrict, and police every real property owner in America. Besides, seller financing is not lending. It is an installment sale. The seller has agreed to receive their equity over time, plus a negotiated interest rate. 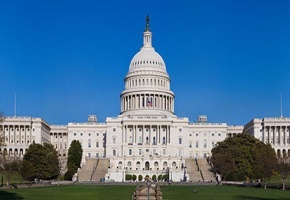 House Bill HR 1728 is headed for the US Senate. Please write your senator and have them exclude seller financing from these acts that are supposed to regulate the previously unlicensed mortgage brokers. Write your state’s Realtor Association and the National Association of Realtors and ask them to help stop the government from taking away our right to sell our property the way we want to and when we want to. There should not be any restriction on how many properties we sell during a certain time period. What’s next – just one transaction every 5 years, or no seller financing at all? This restriction is the last thing America needs in this great real estate compression. Please act now. Exempt Seller Financing From HR 1728. Please forward this to anyone you think should know about this issue. Note Investor Update: Please visit “Why Save Owner Financing From HR 1728?” for a sample letter to use in communicating with your State Senator. This bill certainly takes away our right to use seller financing as we see fit. Rarely does legislation have the potential to impact the world of seller financing as severely as HR 1728: Mortgage Reform and Anti-Predatory Lending Act. HR 1728 limits you as an individual to sell real property using seller financing to only once every 36 months (HR 1728 Sec 101 Definition (3)(E)). That could really effect our economy. For some reason Congress has included private property owners who wish to sell their property using seller financing. Seller financing is used tens of thousands of transactions a year, if not hundreds of thousands of transactions a year to sell real estate. What an impact this could have on all of us. This bill takes away our right to use seller financing as we see fit. I believe House Bill HR 1728 should exempt anyone who offers or negotiates terms of a real property sale financed in whole or in part by the seller and secured by the seller’s real property. I really think this could hurt our economic future. Money is so tight right now, with 2,000 construction workers loosing their jobs downtown, Portland with Tom Moyer’s project being haulted until 2010. What if some of those construction people need to sell their properties faster than the banks can lend money, just so they can afford to pay their mortgage on their homes? We really need to stop the government from taking away seller financing. I’m really afraid It’s going to have an impact on us all. I think selling real estate is tough enough without having to deal with this insane idea. Somebody has got to stop the government from taking away our right to sell our property the way we want to and when we want to. And in closing, there certainly should not be any restriction on how many properties we sell during a certain time period as well. If this bill were to ever become the law of the land, it would change the face of America forever. One of our most basic rights is the freedom to do as we please with our private property. If the people of this country allow this to happen, we will have taken a giant step down that slippery slope to oblivion. Thank you for forwarding us your concerns regarding seller financing. We understand that the restriction of 1 seller financed property every three years is of great concern to our members, and NAR greatly appreciates receiving all of the comments related to this topic. Second, when the original language for H.R. 1728 was introduced, REALTORS® faced two significant issues: 1) being included in the definition of mortgage originator, which would have required additional licensing and educational requirements, and 2) having all consumers that finance the sale of their real property required to be licensed to do so. We worked hard, and successfully removed the requirement of REALTORS® licensed / registered as mortgage originators, and to allow seller financers not to have to register, or get licensed, to sell their own real property once every three years. Please note that: 1) NAR worked for a full exclusion for seller financers; however, had to accept the current language as a compromise or there would have been no exclusion, and 2) That the language does not prohibit consumers from financing the sale of more than 1 property every three years. If the consumer wants to finance more than 1 property every 3 years, they will have to be licensed as a mortgage originator, and become subject to the rules within H.R. 1728. It was Congress’ contention that this requirement would severely constrain the possibility of seller-financing as a loop hole for the unscrupulous businesses that preyed on consumers during the housing bubble. With all that said, I would like you to take the following two messages from this e-mail and NAR. First, the bill looks like it will die due to inactivity in the Senate. Meaning, these requirements, which are not in effect, will not go into effect anytime soon. Second, if the bill begins to move in the Senate, NAR will work diligently to have a full exclusion for seller financing added to the Senate’s version of the bill, or increase the limitation so it does limited harm to consumers that have to utilize this type of financing. Please let me know if you have any additional comments or concerns. I am getting a bit tired of this big government control for everything. I was a cancer patient – I treated it an alternative way and no side effects, lived a perfectly normal life during that time – Government wants to take that away from us. We started investing in real estate in the recent past. Due to this bad lending situation, we can work with people to able to make them a home owner, in a perfectly legal way by seller financing – government wants to take that away from us. This past January, I lost my job. I am not crying about it. I am working hard to get my real estate business to grow. I have to keep all options open to make money. At my age it also difficult to get real jobs anyway. I am working on other ventures as well. I think the current administration, federal and state level have a mission of putting on control for everything we we do. Its getting tiresome. Pretty soon we can’t own our businesses. May be I am synical – but the trend is there. I am nobody. The powerhouses of entrepreneurs that have made this country so great, if they don’t catch on to it and provide input into this matter we will all suffer in due time. We will be most stagnant economy there is – Government run. THAT WILL BE A VERY SAD DAY. I sure hope no see it in my life time.